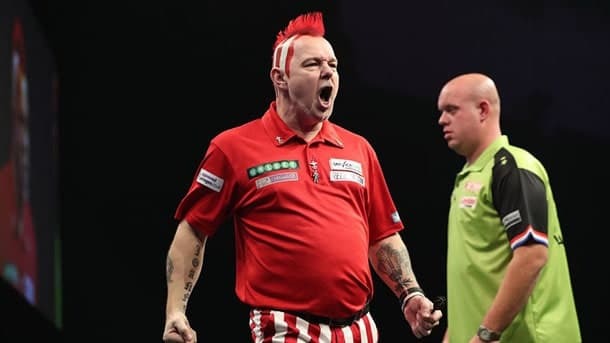 Peter Wright to beat Michael Smith is the best bet on a trappy Unibet Premier League Darts card. Glasgow is the venue for Week Two and proud Scotsman Wright can get the party started in the first game of the night in front of a partisan crowd. Glen Durrant will be looking to give the PDC crowd a glimpse of what’s to come as he takes on an out of form Daryl Gurney. “Duzza” has been on the big stage many times, so the spotlight won’t phase him. He’s our second value pick in what should be a cracking night of arrows. After a dismal finish to 2018 things are definitely looking up for Snakebite Wright. A run to the semi-finals of The BetVictor Masters included a 10-6 win over Smith. This was followed by a draw with Rob Cross in Week One of the Premier League, both players averaging above 100. Most recently he reached the semi-finals of the first PDC Players Championship event of the year in Wigan. Again there was a victory over Smith along the way, a high-class affair with both averaging 110+ over 11 legs. Bully Boy Smith has been a little more inconsistent, highlighted by a terrible 0-6 whitewash at the hands of Keegan Brown in the second Players Championship event. Those two victories for Wright over Smith would indicate that Snakebite is the one who should be the favourite here. He is still three places higher in the world rankings than Smith so the prices look to be a small error by the odds-makers which we can take advantage of. Cross will likely prevail in a close encounter, but the odds appear accurate. We can watch this one with an eye to future weeks. There were some glimpses of form from RVB in Newcastle in Week One against James Wade. Sadly, once he missed some big doubles to go 5-3 up his head dropped. Price started well with a nice win against Daryl Gurney averaging a healthy 106. This is a game Barney really needs to win if he is to survive the dreaded Judgement Night relegation. Despite his decent career record against the Welshman, this looks beyond Barney. No bet seems the best decision as Price is not a trustworthy punting proposition either. This week’s special guest is Glen Durrant, deputising for the injured Gary Anderson. We hit the punting crossbar in Week One when substitute Chris Dobey raced into a 5-1 lead against Mensur Suljovic. I was counting my winnings but sadly it all went wrong at that point. Durrant is the latest star recruit from the BDO, the rival darts organisation. In January he won his third consecutive World Championship at the iconic Lakeside in Surrey. He then decided to make the move to the big-money ranks and successfully negotiated PDC Qualifying School. He took part in both Players Championship events at Wigan and recorded an impressive runners-up spot, quite the debut achievement in these 128 player fields. By contrast, Daryl Gurney has looked disappointingly out of sorts so far this year. At 3/2 2.50 +150 1.50 1.50 -0.67 Durrant appears a touch of value. Sitting back and enjoying the MVG show is generally the best policy for this match-up.